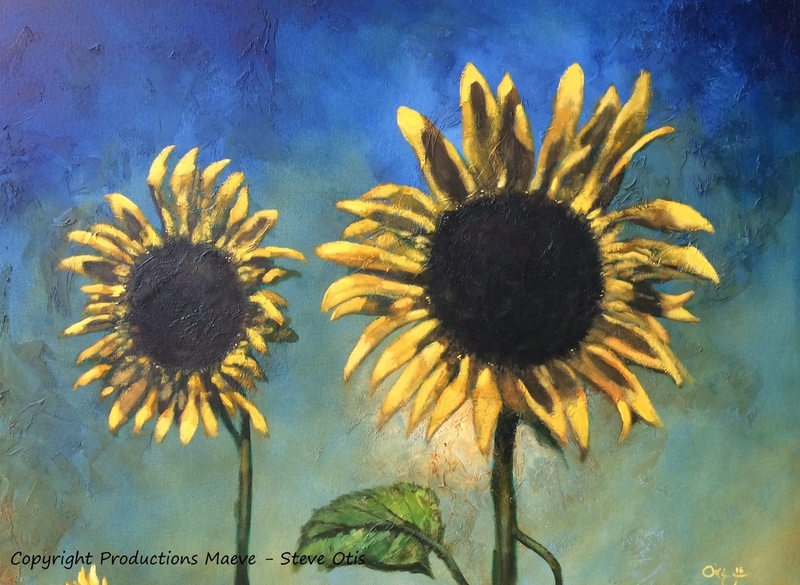 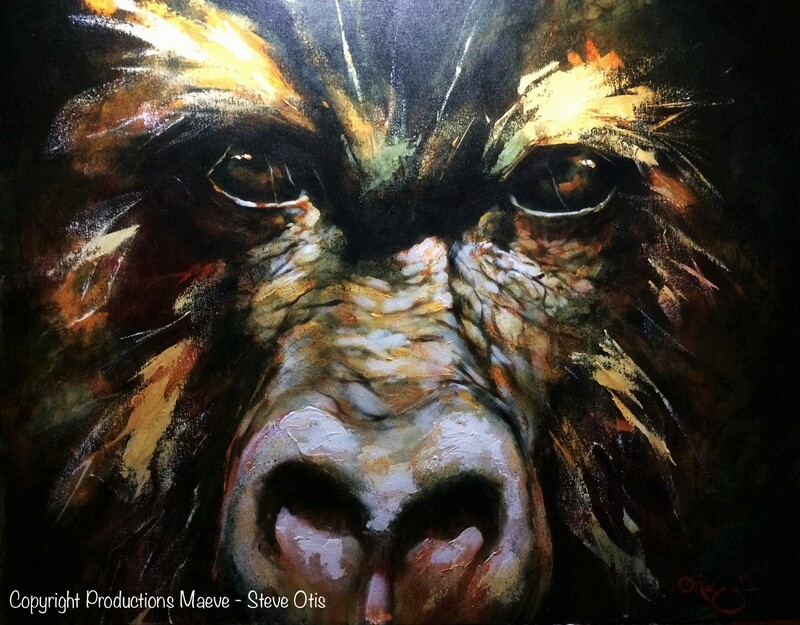 On this page you’ll see prizes and recognitions achieved by Steve ! 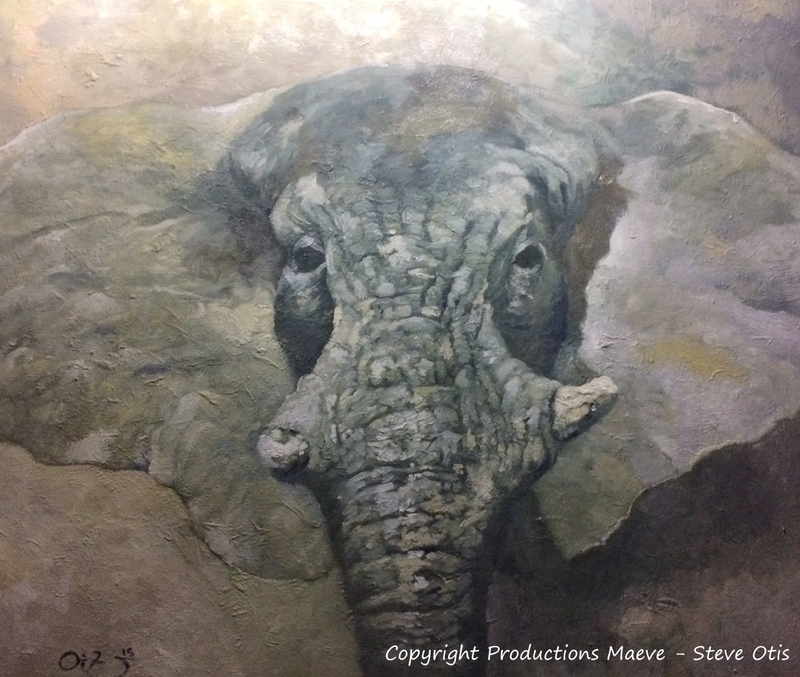 “Nos Premières Grand-Mères” won the public prize of the Historical artistic contest underlining the 350th of the city of Neuvile (where he lives) for his piece. 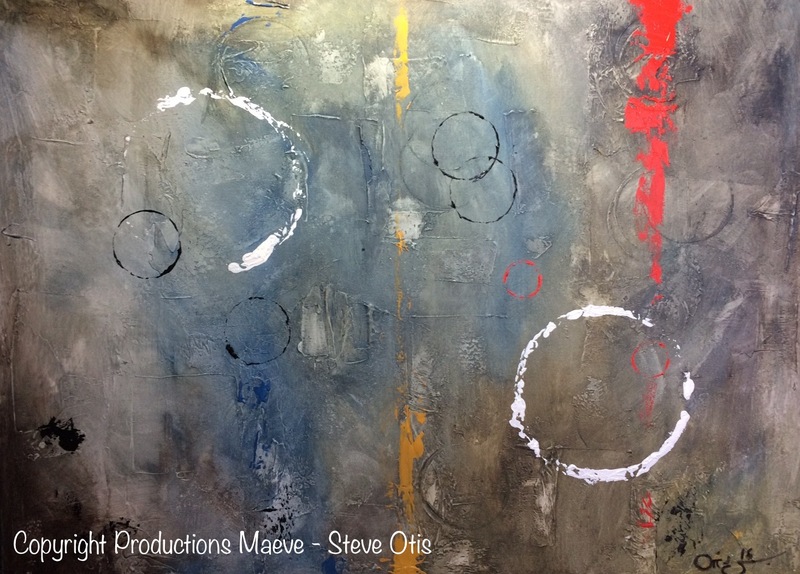 “Fireworks” underlined Special Merit at the 8th Abstract Art competition of Light Space & Time online Gallery. 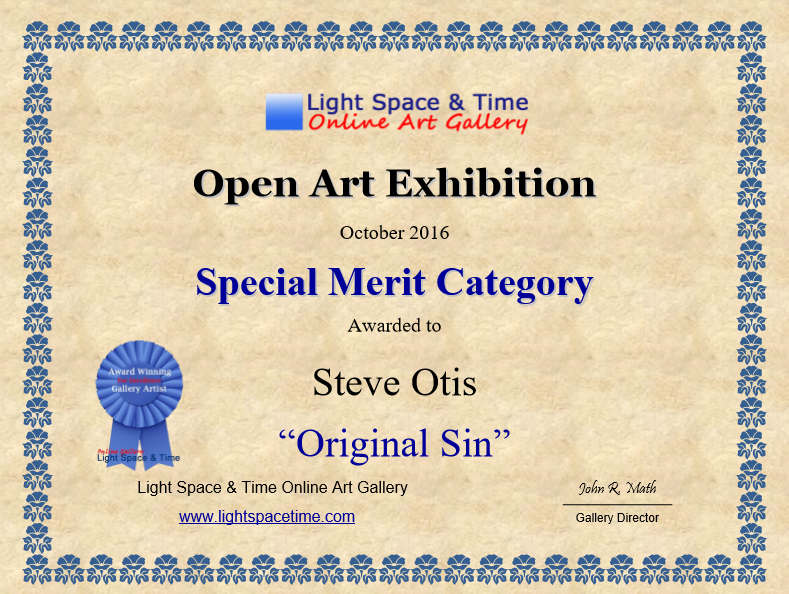 “Original Sin” underlined Special Merit at the 6th No theme Art competition of Light Space & Time online Gallery. 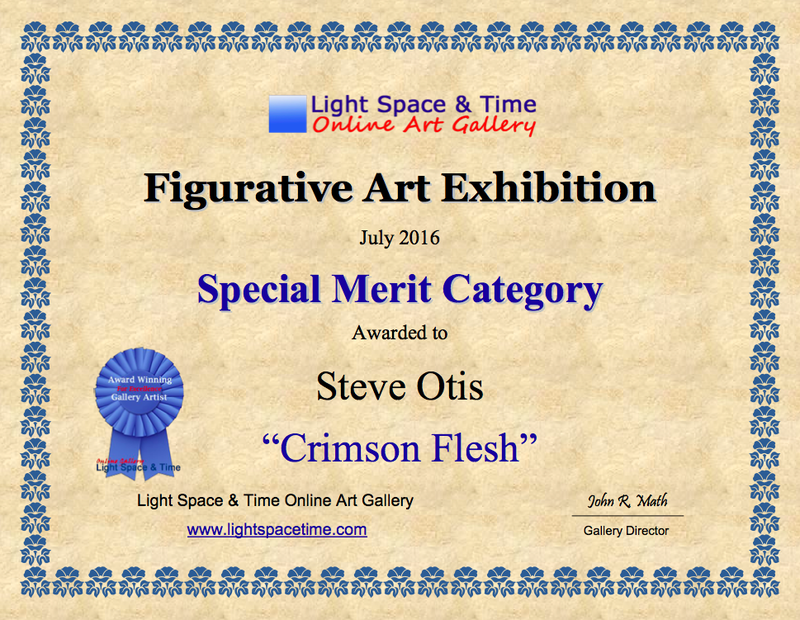 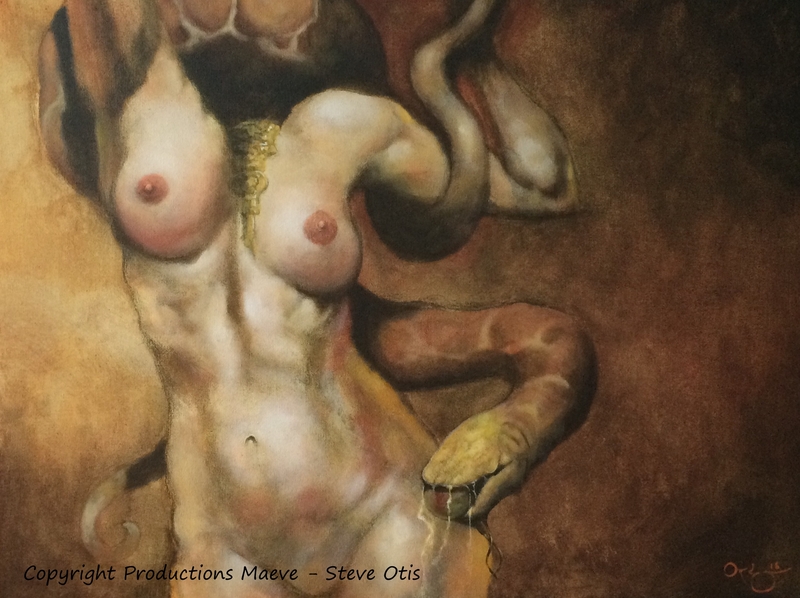 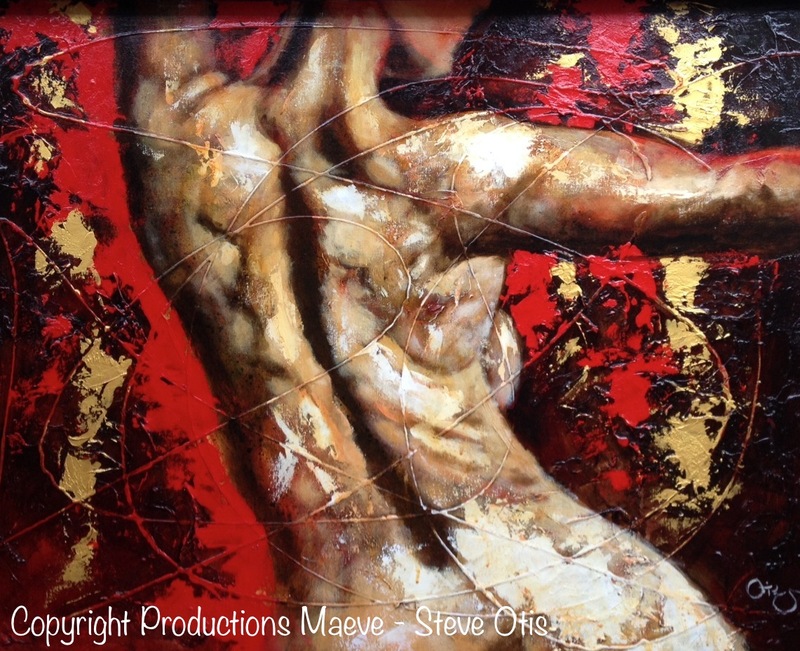 “Crimson Flesh” underlined Special Merit at the 6th Figurative Art competition of Light Space & Time online Gallery. 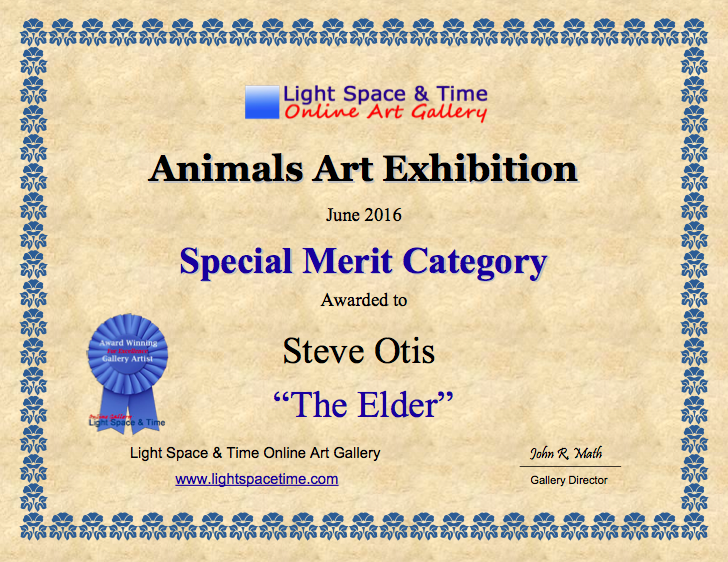 “The Elder” underlined Special Merit at the 6th Animal Art competition of Light Space & Time online Gallery. “Territories” underlined Special Merit at the 7th Abstract Art competition of Light Space & Time online Gallery. 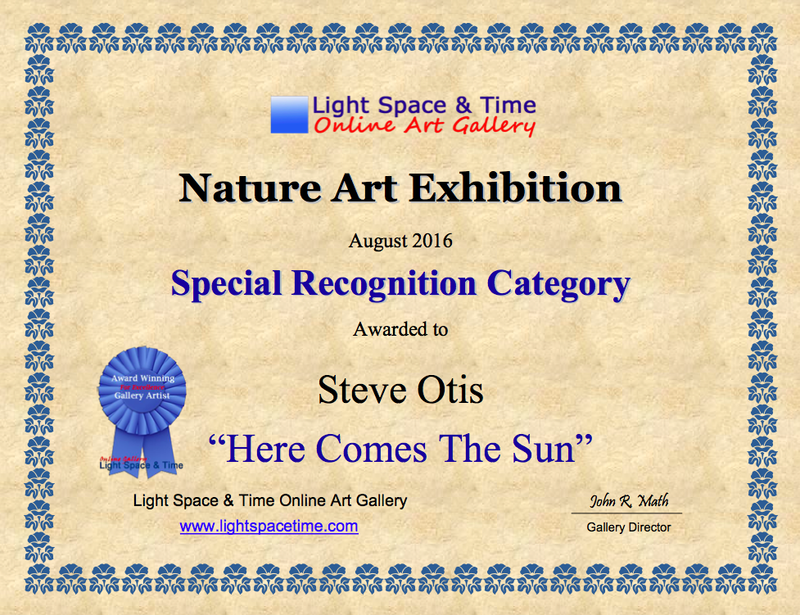 “Here Comes the Sun” underlined Special Recognition at the 6th Nature Art competition of Light Space & Time online Gallery. 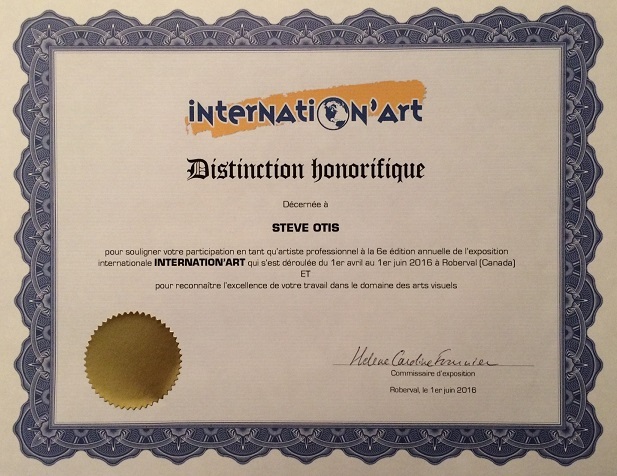 HONOR certificate for his participation to the 6th edition of Internation’ART exhibition.